Subclass B60B and B60C embrace all vehicle wheels and tyres, except wheels for roller skates A63C 17/22, wheels for model railway vehicles A63H 19/22, and special adaptations of wheels or tyres for aircraft B64C 25/36. Subclass B60C embraces the connection of valves to inflatable elastic bodies in general, and in this respect it is not limited to vehicles. Subclass B60L embraces certain electric equipment of all electrically-propelled vehicles. Subclass B60S is a residual group for servicing, cleaning, repairing, supporting or lifting of vehicles. Conjoint control of different drive units are not any more in this subclass; they are classified in subclass B60W. Cooling, heating, venting devices especially for passenger, these groups comprise also the devices which are used for conjoint climatisation for the passenger space and for other devices (like a battery for example). Using control systems for automatizing or assisting, to a full- or partial extent, tasks associated with driving of the vehicle, e.g. those normally carried out by the driver or those necessary to control the motion of the vehicle. A subsidiary or supplementary device of the propulsion, transmission or other units of the vehicle, e.g. a pump for supply of pressure for the control unit. A programmed or condition-responsive automatic controller on-board the vehicle, embodying control logic for plural vehicle sub-units and sends control signals to actuators of two or more vehicle sub-units, so that the sub-units act together to solve a particular problem or in response to a particular driving condition. A system for automatically controlling vehicle speed, which may include additional functions e.g. control of distance between vehicles, so-called "Adaptive Cruise Control" (ACC). An electronic system in a road vehicle for automatically controlling the movement of that vehicle in order to take certain actions. Vehicles having two or more prime movers of more than one type for mutual or common propulsion, e.g. HEV: electrical and internal combustion motors, and that are either singularly or in combination used for propulsion of the vehicle. 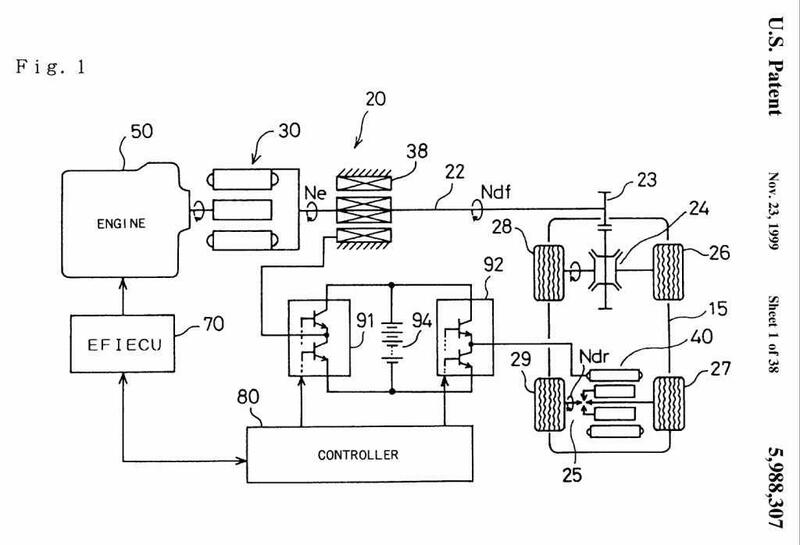 Conjoint control of hybrid vehicles. 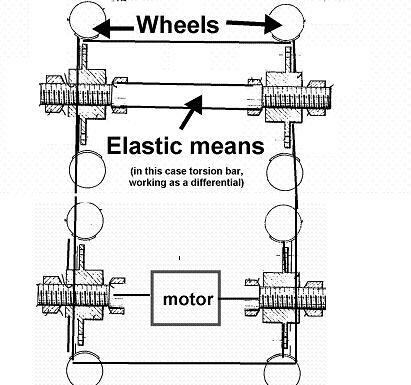 Arrangement for handling mechanical energy structurally associated with the dynamo electric machine. If there exists a second prime mover, e.g. an internal combustion engine (ICE) or hydraulic accumulator, classification is additionally made in B60K 6/00 . This groups comprise documents concerning the arrangement or mounting in the vehicle of the steam engine or gaseous-pressure propulsion. The engine per se is classified in F01K, F01B, F02C. These groups comprise documents concerning the arrangement of an internal combustion motor in the vehicle. A damping means, rubber or the control of a damping means per se are in F16F. Combinations of the engines with mechanical gearing. Shock absorbers; Means for damping vibration, fluid dampers and control therefore. 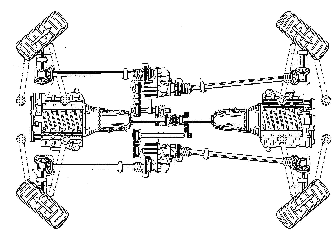 This group is given only if the fact that the crankshaft axis is parallel to the longitudinal centre line of the vehicle is important for the invention. 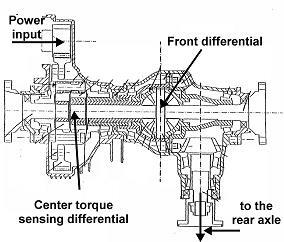 This group is given only if the fact that the crankshaft axis is transversal to the longitudinal centre line of the vehicle is important for the invention. 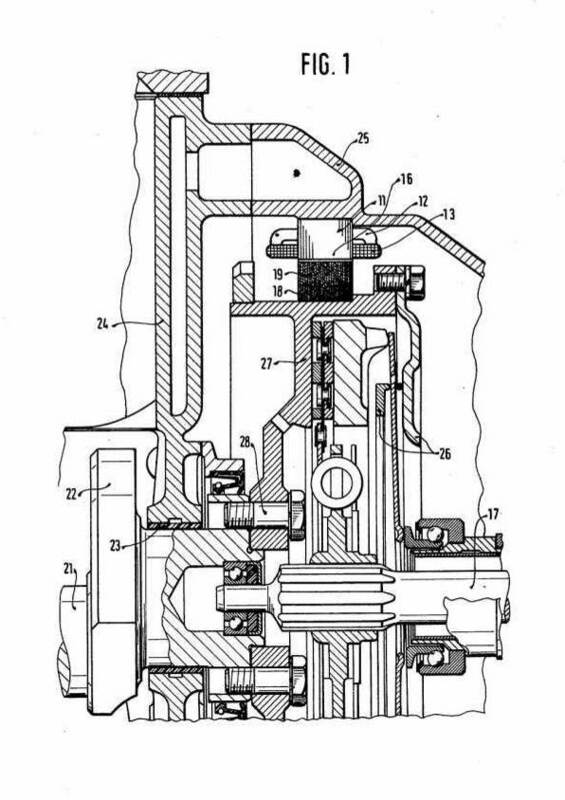 This group is given only if the fact that the crankshaft axis is vertical is important for the invention. 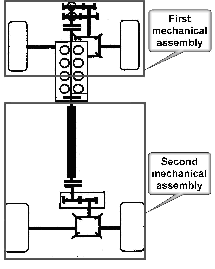 The arrangement and mounting of different prime-movers for common propulsion of a vehicle. 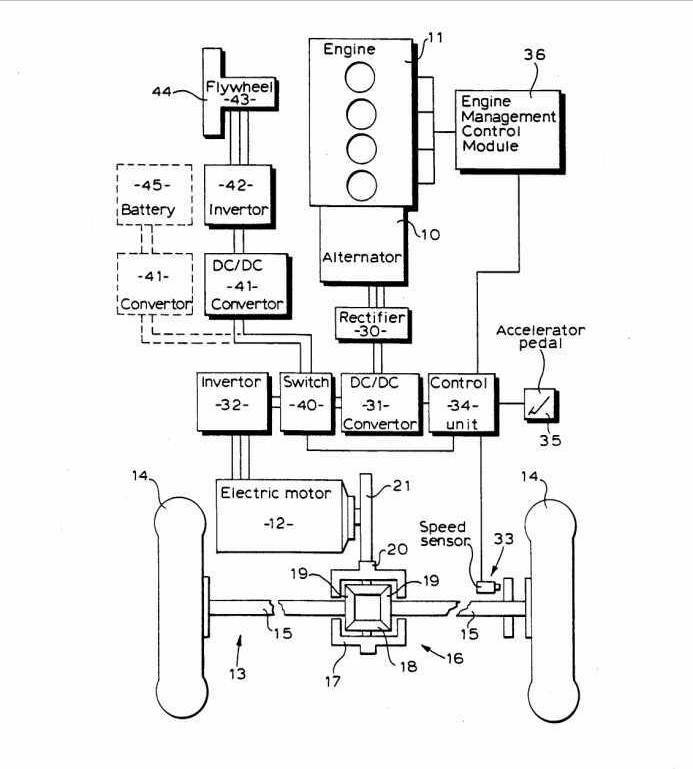 Hybrid propulsion systems comprising electrical and combustion engines. Prime-movers comprising internal combustion motor and energy storing means. B60K 6/00 is the place where the layout and arrangement of hybrid propulsion systems will be classified. The control of these systems will be classified in subclass B60W 20/00 and B60W 10/00 for the type of the controlled unit with additional classification symbol in this group when the type of hybrid propulsion system is of interest. Combustion engine features are classified per se in the relevant subclasses F02B, F02D, F02N. 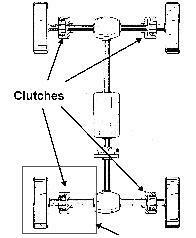 Transmission or clutch features per se are classified in the relevant subclasses F16H or F16D. Multi-aspect classification practice is used in this group for hybrid vehicles. Whenever one or more specific aspects of subunits are concerned, classification should be given for each of the different subunit in B60K 6/22 and a classification symbol should be added in the relevant place for the architecture B60K 6/42 and also for the driveline architecture B60K 6/50. When classifying in one of groups B60K 6/22, B60K 6/42 or B60K 6/50, further technical classification, which is considered to represent information of interest for search should be classified in the other subgroups of B60K 6/00 to enable searching using combination of classification symbols. 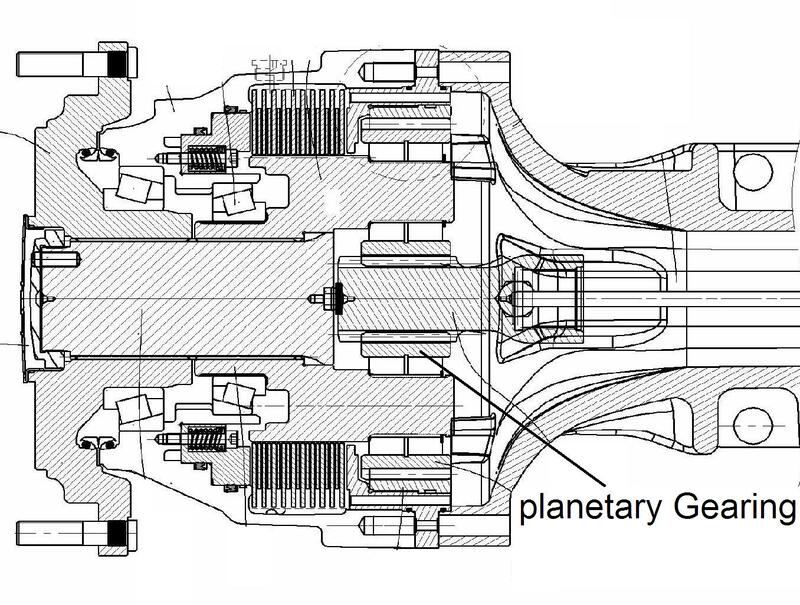 Where appropriate, classification symbols should be given for the architecture of the hybrid propulsion system in groups B60K 6/42 - B60K 6/485 and for the arrangement or kind of transmission units in groups B60K 6/50 - B60K 6/547. The flywheel storing means are classified in B60K 6/105 if the power transmission is mechanical and in B60K 6/30 if the power transmission is purely electrical. The power split transmission architecture B60K 6/445 is to be classified also in F16H 2037/0866 for distributing type, in F16H 2037/088 for summing type and F16H 2037/101 for parallel type, F16H 2037/102 or F16H 2037/104 for crossed connections of several planetary sets, F16H 2037/103 for Ravigneaux type. Use of the Indexing Code scheme is mandatory. When classifying in group B60K 6/00 classification must also be made in groups B60K 6/00 – B60K 6/54 for additional features, in B60Y 2200/00 for vehicle type, in B60Y 2400/00 for special features in general, in B60Y 2300/00 in order to identify the purpose and in B60W 10/00 for multiple controlled sub-units and in B60W 2510/00 - B60W 2560/06 for controller input parameters and in B60W 2710/00 - B60W 2720/406 for the output target values. Apparatus for storing propulsive energy and providing stored energy to drive the prime-mover or the ultimate propulsive elements, e.g. wheels. Vehicles having an electric prime-mover and a combustion engine, in which the electric prime-mover and the combustion engine either singly or in combination, drive the ultimate propulsive elements, e.g. wheels. An electric machine, such as a motor or a generator or a mechanical combination thereof, which can provide positive mechanical output force or torque and which can function at other times as an electric generator. A propulsion unit or source of motive power providing a mechanical output, e.g. via a rotating shaft. HEV having at least two motor-generators, which include the functions of both the series type and the parallel type. 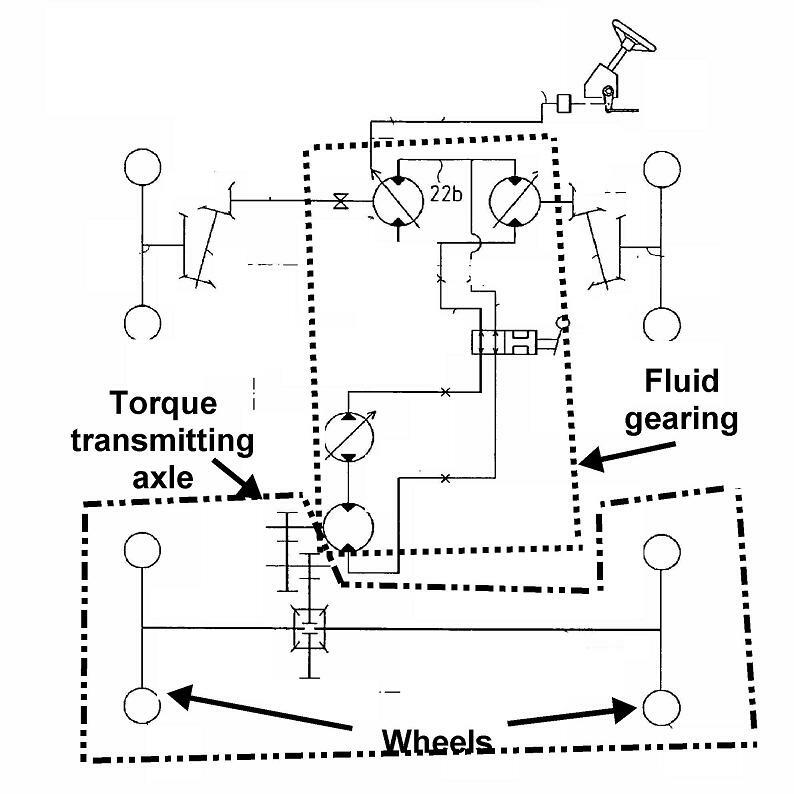 Particular arrangements of transmission units. 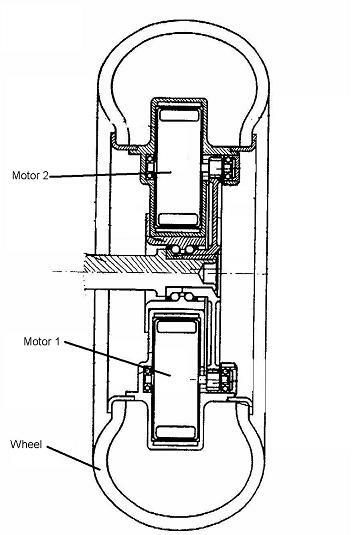 Kind or type of transmission units, e.g. CVT. Inventions related to a particular disposition of the motor regarding to the wheel. 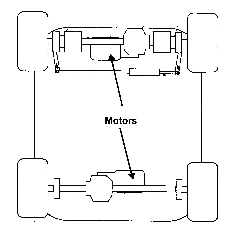 The term "in, or adjacent to" means there is one motor to drive one wheel (or dual wheels forming a unit). No differential there in between. 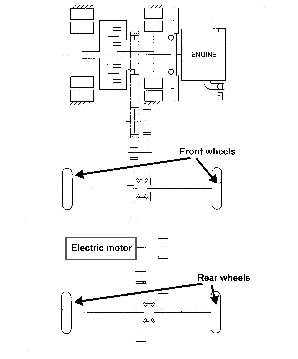 All documents showing in a schematic way a hybrid or electric vehicle having hub motors in the wheels should not be classified in this group. However, a code for additional information could be given. Use of the Indexing Code scheme is mandatory for this main group. Additional information should be given in B60K 17/043 if a transmission is used. 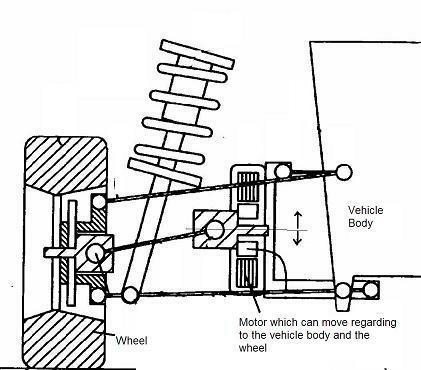 Structural association of electro motor with clutches, brakes, gears, pulleys etc. Illustrative examples of subject matter classified in this group. 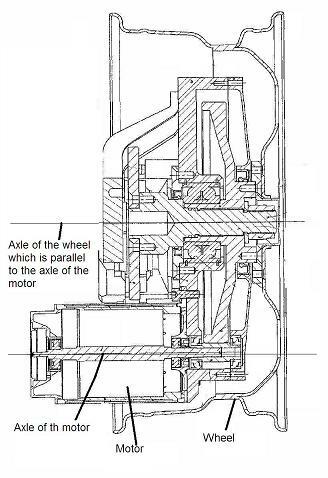 One motor mounted directly on a propulsion axle for rotating right and left wheels of this axle (for example using a differential between the motors and the driven wheels). Use of the Indexing Code scheme is mandatory for this main group. 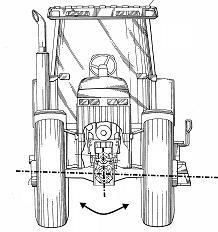 Addition information should be given in B60K 17/043 if a transmission is used. there is one motor to drive one wheel (or one dual wheels). No differential therebetween. These groups comprise documents concerning the arrangement of a motor in a vehicle. The drive motor per se should be classified elsewhere. Documents concerning the arrangement in connection with cooling of the propulsion units in the vehicle. These groups comprise an arrangement whereby the element to be cooled (for example the motor) is cooled by liquid. Radiator shutters or blinds mounted directly on the radiator. Invention classification is given only when the fixing part is on the vehicle. When the fixing part is on the radiator, see groups F01P 3/18 or F28F. These groups comprise an arrangement whereby the element to be cooled (for example the motor) is cooled by air. The way the air is ducted to a radiator (air to liquid heat exchanger) is therefore classified in groups B60K 11/02 or B60K 11/08. Also air guiding walls in the air inlet passage. arrangement in the vehicle of combustion air intake or gas exhaust of propulsion unit. This group comprises for example arrangement of air intake in the car body and the arrangements made in the vehicle between the air intake to the air cleaner. Arrangement of the air intake system in the engine compartment. Specific arrangement in the vehicle of exhaust element or structure used to fasten exhaust element to a vehicle if the invention is on the vehicle side (special adaptation of the vehicle structure) and not on the exhaust side. Fixing element of the exhaust if the invention is related to the fixing element mounted on the vehicle frame and not on the exhaust, e.g. fixing bracket adapted to vehicle frame. Arrangement of a urea tank in the vehicle. "Fixing means for the exhaust manifold or exhaust pipes to the vehicle body" are not classified in B60K 13/04 but in F01N 13/1805. These groups only comprise arrangement of the vehicle frame for mounting the exhaust, like for example, a specific fixing bracket on the vehicle frame. Further examples of documents classified in B60K 13/04 could be a pipe or a urea tank extending through a specific area in the vehicle. 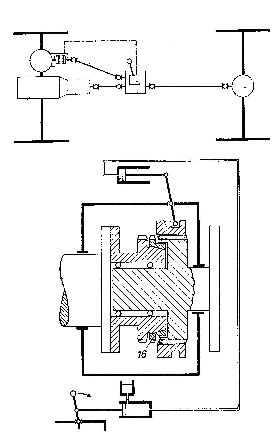 Arrangement of tanks in connection with fuel supply of combustion engines. Also for arrangement of gas tank in the vehicle. 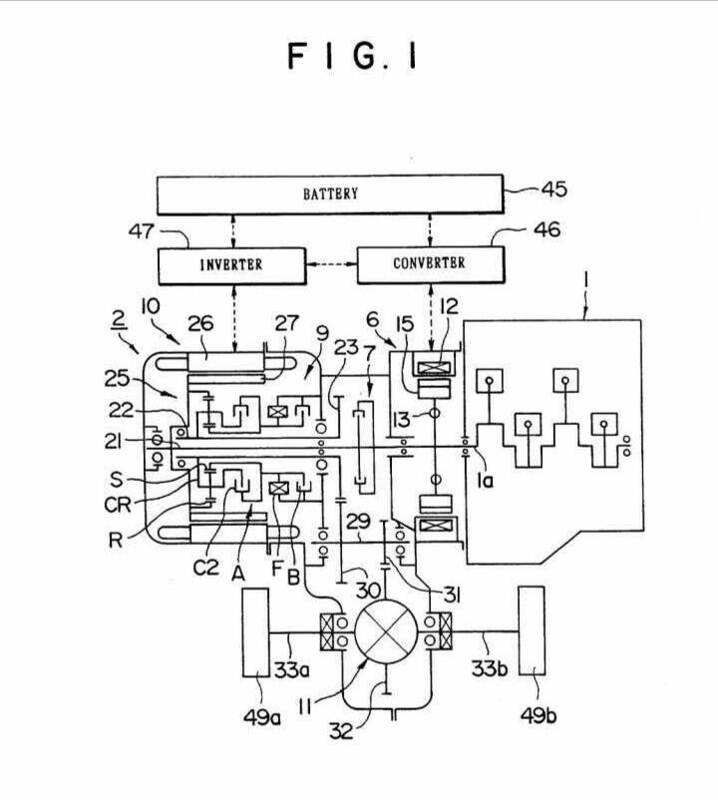 Controlling the feeding of liquid fuel from storage container to carburettors. 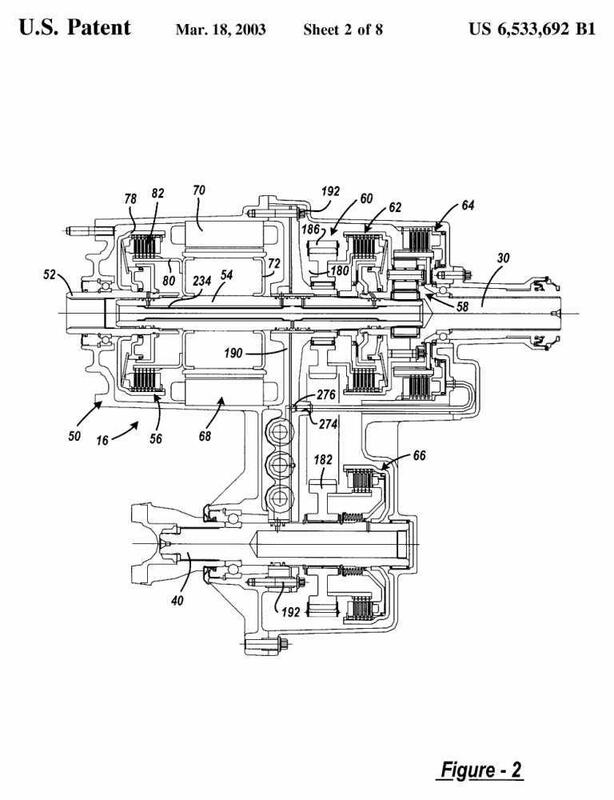 Supplying combustion engine with combustible mixture or constituent thereof. 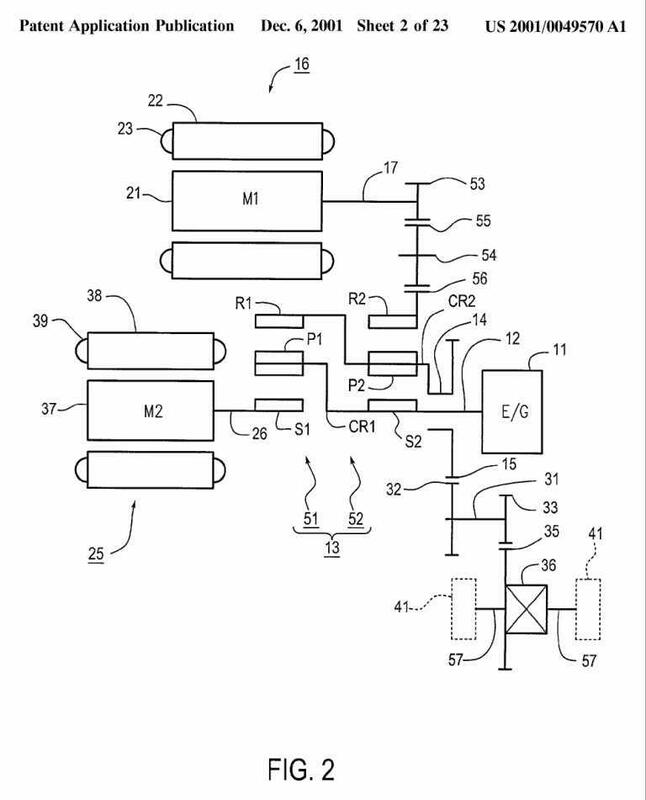 Apparatus for feeding liquid fuel from storage container to carburettors. Specific fabrication process should be classified in B29C or B32B. Filler caps is the detachable/movable cap at the end of the inlet pipe. Container including devices to influence the motion or distribution of the fuel, e.g. swirl pots or fuel level control between dual tanks. 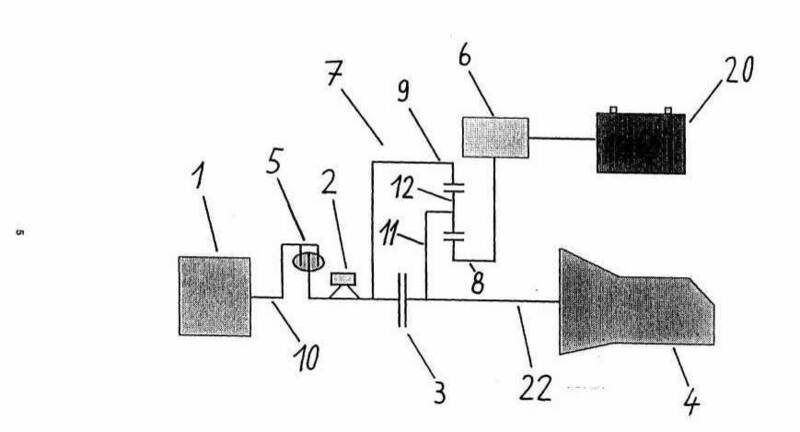 Combustion engine using plants for generating gaseous fuel from solid fuel. Assembling motor vehicles by joining sub-units or components, the components being engines, clutches or transmissions, with respect to the body shell or other sub-units or components. Clutches in general, e.g. construction thereof. Gearing in general, e.g. construction thereof. Code for additional information B60K 17/043 is systematically given for documents classified in group B60K 7/00 having a transmission gear between motor and vehicle wheel. 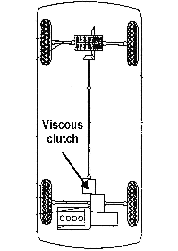 Arrangement in the vehicle of electric actuated clutches. Electric or fluid gearing whereby the motor (electric or hydraulic) is disposed in or adjacent to the traction wheel. In these groups are in particular documents showing "electric or hydraulic differential". 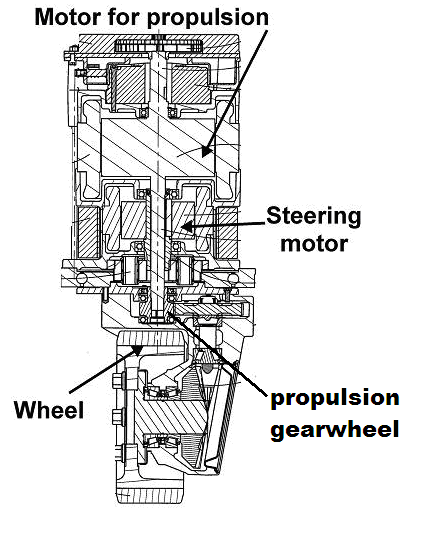 Arrangement of differential gearings in the vehicle. 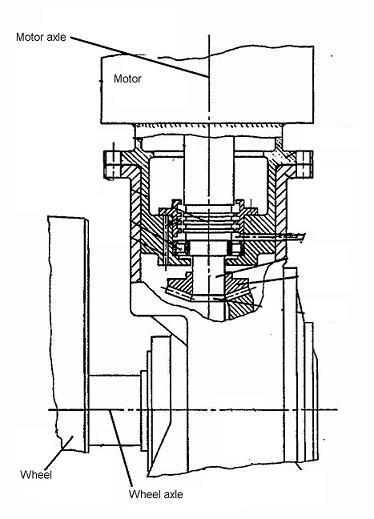 rigid casings comprising wheel drive shafts, bearings therefore and a differential, e.g. casing made of pressed sheet metal (see also axle units B60B 35/00, gearboxes with integrated axle drive). 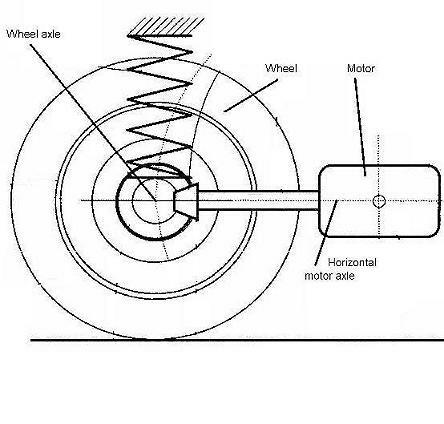 Arrangement in the vehicle of differential means, whereby the difference of rotation speed between the two output shafts of the differential means is obtained using resilient means. 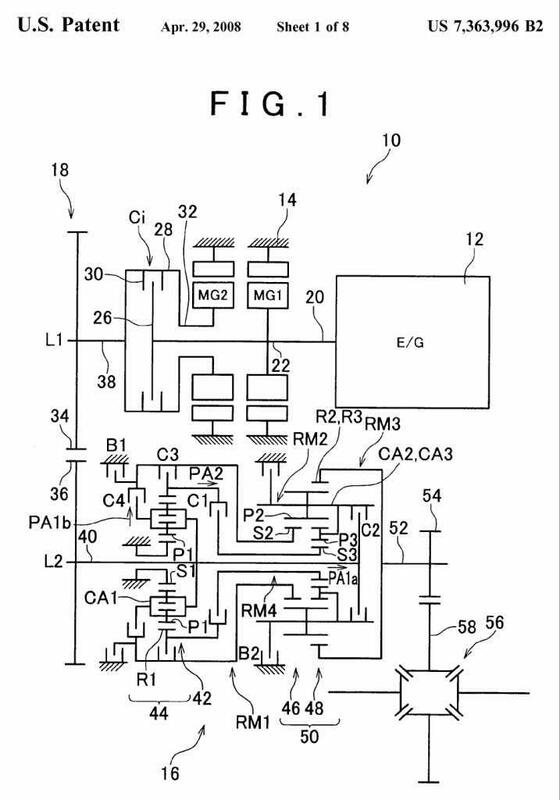 Gearings comprising a power take off, which is for "extern" devices and not for other part of the vehicle like alternator, pump, fan for motor cooling etc. 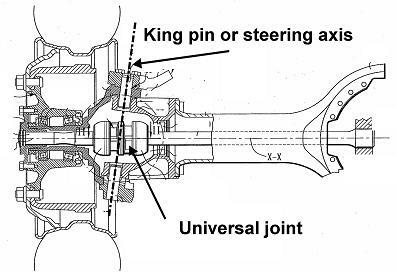 The ultimate propulsive element is steerable and the propulsive gearwheel being located on the steering knuckle or arranged in line with the kingpin axis. in this particular case, all four wheel transmissions per see are classified in these groups and not only the arrangement in the vehicle. 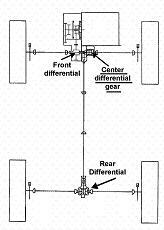 Transfer gears using for example clutches or differentials with a locking device. The locking device or other means for changing distribution of torque are arranged inside the transfer gear box. Using typically viscous couplings (difference of speed) or torque sensing differentials arranged inside the transfer gear box. 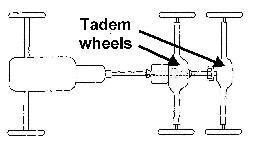 A driven wheel can be coupled independently. 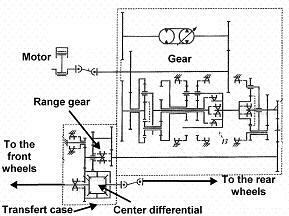 The arrangement in the vehicle of the change speed gearing control devices. The change speed control device per see is not classified here (but in F16H 59/02). Controlling members for hand actuation per se, e.g. knobs, handles. Only the arrangement or mounting in the vehicle. The change speed gearing control devices per se are classified in F16H 59/00. The subgroup is abolished. Now F16H 59/045 is used instead. B60K 23/00 concerns the mountings or arrangements of control units related to a particular sub-unit not otherwise provided for in B60K. The arrangements and mounting of input devices for change speed gearing are classified in B60K 20/00. The arrangements and mounting of input devices for propulsion units are classified in B60K 26/00 . Vehicle drive control systems in general that are used for conjoint control and not related to a particular sub-unit are classified in B60W 30/00. Use of the Indexing Code scheme is mandatory. When classifying in group B60K 23/00 classification must also be made in groups B60K 23/00 – B60K 2023/0841 for special features of clutch control, in B60Y 2400/00 for special features in general and in B60Y 2300/00 in order to identify the purpose and in B60W 10/00 for controlled sub-units and in B60W 2510/00 - B60W 2560/06 for controller input parameters and B60W 2710/00 - B60W 2720/406 for output target values. 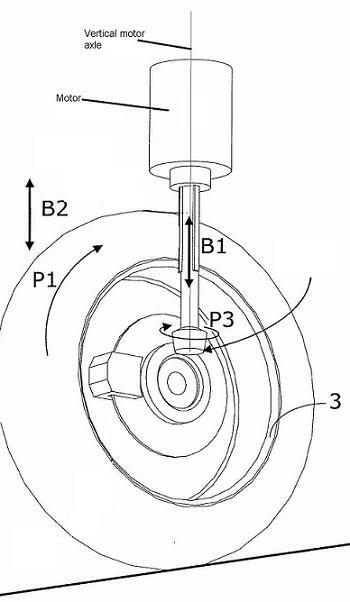 B60K 25/00 concerns the mountings of auxiliary drives; the control of the auxiliary units is classified in the subclasses related to the particular auxiliary unit, as for example air conditioning. 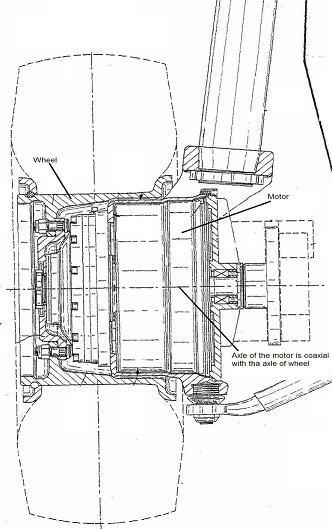 The generator/motors drivingly connected to the engine crankshaft and driving also the vehicle are classified in subgroup B60K 6/485 for electric motor assisted hybrid vehicles. in B60W 2510/00 - B60W 2560/06 for controller input parameters and in B60W 2710/00 - B60W 2720/406 for output target values. B60K 26/00 concerns the mountings of control units related to propulsion units of vehicles. The operator initiation means for internal combustion engines control in general are classified in F02D 11/00. The arrangements and mounting of clutch control input devices, e.g. arrangement or mounting of pedals for clutches are classified in B60K 23/00. Use of the Indexing Code scheme is mandatory. When classifying in group B60K 26/00 classification must also be made in groups B60K 26/00 for additional features of accelerator, in B60Y 2400/00 for special features in general, in B60Y 2300/00 in order to identify the purpose and in B60W 10/00 for the multiple controlled sub-units and in B60W 2510/00 -B60W 2560/06 for controller input parameters and B60W 2710/00 - B60W 2720/406 for the output target values. B60K 28/00 is the place where the layout and arrangement of safety systems will be classified. The conjoint control of these systems will be classified in subclass B60W 10/00 for the type of the controlled unit with additional classification symbol in B60W 30/00 for the purpose. Combustion engine features per se are classified in the relevant subclasses F02B, F02D, F02N. Transmission or clutch features per se are classified in the relevant subclasses F16H or F16D. Multi-aspect classification practice is used in this group. Whenever one or more specific aspects of the system are concerned, classification should be given for each of the different aspects. Use of the Indexing Code scheme is mandatory. When classifying in group B60K 28/00 classification must also be made in groups B60K 28/00 – B60K 2028/003 for additional features of safety control, in B60Y 2400/00 for special features in general, in B60Y 2300/00 in order to identify the purpose and in B60W 10/00 for multiple particular sub-units and in B60W 2510/00 - B60W 2560/06 for controller input parameters and in B60W 2710/00 - B60W 2720/406 for the output target values. Control systems for cruise control or speed limiting control of any particular single vehicle sub-unit. Control systems of a single vehicle sub-unit for Adaptive Cruise Control (ACC) or for controlling distance between vehicles, in particular distance from host vehicle to the preceding vehicle. Detecting means in general (e.g. ultrasonic radars G01S 7/00, TV cameras H04N, rear view cameras B60R 1/00, image processing, or measuring means) are covered by the classes G01, G06 or H04 and their appropriate subclasses. Displays in general are classified in B60K 35/00. Driver warnings in general are classified in B60W 50/08. Control systems for conjoint control of vehicle sub-units of different type or different function. 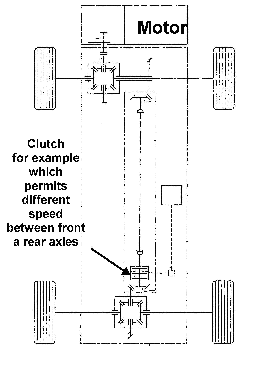 Estimations or calculations of driving parameters for road vehicle drive systems that are used for purposes of cruise control. In subgroups B60K 31/02 up to B60K 31/18 the last place priority rule is applied, i.e. at each hierarchical level, classification is made in the last appropriate place. B60K 31/00 is a multi-aspect classification! Classifications have to be given for all features of the claims and the features of particular interest of the embodiments. Use of the Indexing Code scheme is mandatory. When classifying in group B60K 31/00 classification must also be made in groups B60K 31/00 – L60K31/30 for additional features of cruise control, in B60Y 2400/00 for special features in general, in B60Y 2300/00 in order to identify the purpose and in B60W 10/00 for the controlled sub-units and in B60W 2510/00 - B60W 2560/06 for controller input parameters and in B60W 2710/00 - B60W 2720/406 for the output target values. Arrangements of instruments for and aspects of display of information in a vehicle. The main group is in particular directed to all instruments located in the dashboard (and surrounding areas like windscreen or centre console) indicating information to the driver or passengers. This main group covers all instruments that are in a vehicle dashboard if they are defined by particular aspects in their relation to the vehicle dashboard (e.g. the way they are mounted) or at least to control or indicate vehicle functions. B60K 35/00 is the general home for documents comprising vehicle related aspects of indication devices. B60K 37/00 is directed to adaptation of instruments in vehicles in general, to combined instruments and to vehicle related aspects of input devices in dashboards. Whilst B60K 35/00 is directed to the adaptation of instruments in a dashboard, B62D 25/14 is related to the (internal) structure of the dashboard itself and to dashboards as superstructure sub units (e.g. dashboard structure, fixation). Whilst B60K 35/00 is directed to the adaptation of vehicle instruments to the dashboard, B60R 11/00 is directed to mounting of electronic devices to dashboard (see in particular B60R 2011/0005). the aspect can be regarded as non-standard solution in that context (e.g. the vehicle context: adapted to vehicle requirements, controlling vehicle functions, displaying vehicle relevant information, device specific to a vehicle type ...). Vertical Indexing Codes to be used are B60K 2350/00 for aspects of input/output devices or features thereof, optical features of instruments, hardware adaptations, control system arrangements, structural details, mounting and perception or visibility of information. Further B60Y 2300/00 for purposes or special features of vehicle drive control systems, B60Y 2400/30 for sensors, B60Y 2200/00 for the vehicle type. This main group does not cover the structure of instruments if no vehicle related aspect is present (e.g. the mere mechanical or electronic structure of an instrument). "dashboard liner", "cladding" and "padding"
"instrument cluster", "combined instrument" and "combi instrument"
The adaptation of instruments in a vehicle dashboard. The main group is in particular directed to the mechanical mounting of instruments to the dashboard or the electrical integration of such instruments in the dashboard (e.g. connection to vehicle bus system). A dashboard related aspects must be present in all cases. Vertical Indexing Codes to be used are B60K 2350/00 for aspects of input/output devices or features thereof, optical features of instruments, hardware adaptations, control system arrangements, structural details, mounting and perception or visibility of information, and L60Y30/00 for aspects of problems, L60Y500/30 for sensors, actuators, material and production aspects, B60Y 2300/00 for the vehicle type. The adaptation of more than one instrument in the dashboard (combined instruments) to be arranged in a vehicle dashboard. The main group is in particular directed to the mechanical or electronic integration of instruments to become a combined instrument (interrelation between instruments). Vertical Indexing Codes to be used are B60K 2350/00 for aspects of input/output devices or features thereof, optical features of instruments, hardware adaptations, control system arrangements, structural details, mounting and perception or visibility of information. Further B60Y 2300/00 for purposes or special features of vehicle drive control systems , B60Y 2400/30 for sensors, and B60Y 2200/00 for the vehicle type. The adaptation of input devices for instruments in a vehicle dashboard. The subclass is in particular directed to how the input is generated mechanically or electronically, the input however must be employed to control a vehicle related function (e.g. air condition). Vertical Indexing Codes to be used are B60K 2350/00 for aspects of input/output devices or features thereof, optical features of instruments, hardware adaptations, control system arrangements, structural details, mounting and perception or visibility of information. . Further B60Y 2300/00 for purposes or special features of vehicle drive control systems , B60Y 2400/30 for sensors, L60W400/40 for actuators, L60W410/00 for constructional features of vehicle sub-units and B60Y 2200/00 for the vehicle type.